The image is so well known it is practically iconic: The reclusive poet, feminine and fragile, weaving verse of beguiling complexity from the room in which she kept herself sequestered from the world. The Belle of Amherst, the distinctive American voice, the singer of the soul’s mysteries: Emily Dickinson. Yet that image scarcely captures the fullness and vitality of Dickinson’s life, most notably her many connections—to family, to friends, to correspondents, to the literary tastemakers of her day, even to the unnamed, and perhaps unknowable, “Master” to whom she addressed three of her most breathtaking works of prose. Through an exploration of a relatively small group of items from Dickinson’s vast literary remains, this volume—an accompaniment to an exhibition on Dickinson mounted at The Morgan Library & Museum in New York—demonstrates the complex ways in which these often humble objects came into conversation with other people, places, and events in the poet’s life. Seeing the network of connections and influences that shaped Dickinson’s life presents us with a different understanding of this most enigmatic yet elegiac poet in American letters, and allows us more fully to appreciate both her uniqueness and her humanity. The materials collected here make clear that the story of Dickinson’s manuscripts, her life, and her work is still unfolding. While the image of Dickinson as the reclusive poet dressed only in white remains a popular myth, details of Dickinson’s life continue to emerge. Several items included both in the exhibit and in this volume were not known to exist until the present century. The scrap of biographical intelligence recorded by Sarah Tuthill in a Mount Holyoke catalogue, or the concern about Dickinson’s salvation expressed by Abby Wood in a private letter to Abiah Root, were acquired by Amherst College in the last fifteen years. What additional pieces of evidence remain to be uncovered and identified in the attics and basements of New England? 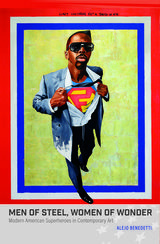 Published to accompany The Morgan Library & Museum’s pathbreaking exhibit I’m Nobody! Who are You? 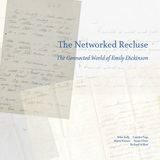 The Life and Poetry of Emily Dickinson—part of a series of exhibits at the Morgan celebrating and exploring the creative lives of significant women authors—The Networked Recluse offers the reader an account of the exhibit itself, together with a series of contributions by curators, scholars of Dickinson, and poets whose own work her words have influenced. The ascendance of Donald Trump to the presidential candidacy of the Republican Party has been both remarkable and, to most commentators, unlikely. In The Rise of Trump: America’s Authoritarian Spring, Matthew MacWilliams argues that Trump’s rapid rise through a bewildered Republican Party hierarchy is no anomaly; rather, MacWilliams argues, it is the most recent expression of a long-standing theme in American political life, the tendency and temptation to an ascriptive politics—a political view that builds its basic case on ascribing to any relatively disempowered group (whether defined by race, ethnicity, gender, sexual orientation, religious belief, or other identifying category) a certain set of qualities that justify discriminatory treatment. The ascriptive tradition in American politics, though longstanding, has generally been kept to a relatively small minority—a minority whose rights, perhaps paradoxically, have been protected by the principles of Madisonian democracy, even though central to its worldview is the need and urgency of limiting the rights of some. 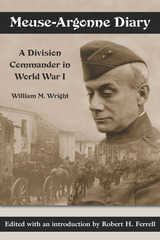 It has found champions in years past in such figures as Andrew Jackson, Huey Long, Joseph McCarthy, and Pat Buchanan. But in Donald Trump this tradition has found a significant new voice, one emboldened by deeper shifts in the American political landscape. Trump’s swift and unsettling rise to the pinnacle of presidential politics may point toward the emergence of more significant and substantial questions about the future course of a democratic government committed to principles of equality and the freedom of expression, association, and conscience. Exactly how is it we think the ends of justice are accomplished by sentencing someone to a term in prison? How do we relate a quantitative measure of time—months and years—to the objectives of deterring crime, punishing wrongdoers, and accomplishing justice for those touched by a criminal act? 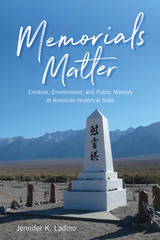 Linda Ross Meyer investigates these questions, examining the disconnect between our two basic modes of thinking about time—chronologically (seconds, minutes, hours), or phenomenologically (observing, taking note of, or being aware of the passing of time). In Sentencing in Time, Meyer asks whether—in overlooking the irreconcilability of these two modes of thinking about time—we are failing to accomplish the ends we believe the criminal justice system is designed to serve. 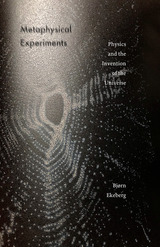 Drawing on work in philosophy, legal theory, jurisprudence, and the history of penology, Meyer explores how, rather than condemning prisoners to an experience of time bereft of meaning, we might instead make the experience of incarceration constructively meaningful—and thus better aligned with social objectives of deterring crime, reforming offenders, and restoring justice. The human body is the locus of meaning, personhood, and our sense of the possibility of sanctity. The desecration of the human corpse is a matter of universal revulsion, taboo in virtually all human cultures. Not least for this reason, the unburied corpse quickly becomes a focal point of political salience, on the one hand seeming to express the contempt of state power toward the basic claims of human dignity—while on the other hand simultaneously bringing into question the very legitimacy of that power. 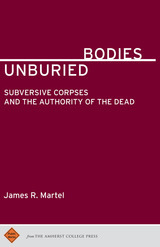 In Unburied Bodies: Subversive Corpses and the Authority of the Dead, James Martel surveys the power of the body left unburied to motivate resistance, to bring forth a radically new form of agency, and to undercut the authority claims made by state power. 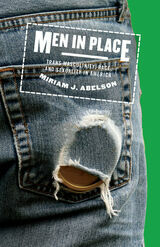 Ranging across time and space from the battlefields of ancient Thebes to the streets of Ferguson, Missouri, and taking in perspectives from such writers as Sophocles, Machiavelli, Walter Benjamin, Hannah Arendt, James Baldwin, Judith Butler, Thomas Lacqueur, and Bonnie Honig, Martel asks why the presence of the abandoned corpse can be seen by both authorities and protesters as a source of power, and how those who have been abandoned or marginalized by structures of authority can find in a lifeless body fellow accomplices in their aspirations for dignity and humanity.